It is important to understand the roles that PEOPLE played in the holocaust. 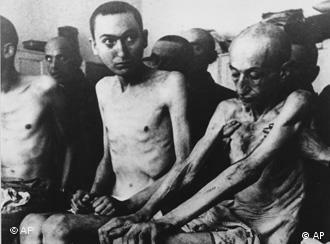 But it is not enough to simply REMEMBER the holocaust, the people who died and those who survived. We must understand the perpetrators' motivations for victimizing others and we must feel the horrors that victims endured. While people's stories are both heartbreaking and inspiring, the REASON to study and learn from the holocaust is to prevent similar events from ever happening again. Yet, we seem to be unable to teach, we seem to be unable to instill remembrance, or sufficiently learn lessons from the past because similar atrocities are happening in the world today. Even so, teachers continue to teach important lessons to save this generation and the next from repeating and enduring the horrors of the past. These resources are aggregated toward helping teachers and students reach that goal. AN IMPORTANT NOTE FOR USERS: The aggregated resources in this site are intended to strengthen teacher content knowledge and provide resources for classrooms or out-of-school-time learning. Teachers and other adults are the intended audience of this information. Some information, visual content, and descriptions may not be appropriate for all ages. Therefore, as always, we strongly recommend that all resources should be fully previewed and thoughtfully considered for age-appropriateness before using these resources with students in the classroom or assigning to students as out-of-school-time learning. Also note that some videos may be located on Youtube, sites which may be blocked by some organizations. Additional notes and suggestions are provided throughout the sections of this resource. Israel's Yad Vashem National Holocaust museum and Google have launched a cooperative effort to put put the world's largest collection of Holocaust documents onto the Internet. Since 2011, Google and the Yad Vashem have made more than 140,000 documents available digitally. "Especially for young people this will raise awareness about the Shoa (see footnote 1) and it will provide them with the kind of tools they're used to for doing research," said Google's Israel director. The pictures and documents that have been made available online range from photos and visas, to transport lists that document the people who were rounded up and transported to the camps, and testimonials from survivors. [Documents] include photos taken by German SS soldiers and some taken after the liberation of concentration camps. 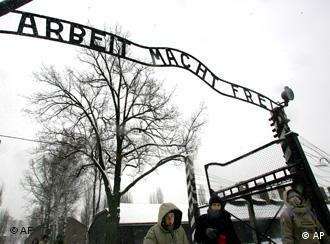 On January 27, 1945 the Red Army (Russian Army) liberated the concentration camp at Auschwitz, Poland. Knowing that the Russian army was approaching, the Nazi army cleared most people from the camp, forcing an 60,000 people to evacuate in a death march to nowhere leaving about 6,000 of the sickest people behind to die without food, water or clothing. "There are many more important stories out there. If we don't capture them, they could be lost." The displays are interactive and people using the archive are encouraged to add their own details about people they know and help identify people in the photographs. Each of the pictures can be enlarged and viewers are encouraged to leave their comments if they have a Google, Twitter or Yahoo account. The museum is also using Facebook where a special memorial page [is put up each year on this special week] for the annual Remembrance Day. 1 - Shoa is a Hebrew word for the Holocaust. Click HERE to access resources from the United States Holocaust Museum. Using GPS technology, Father Patrick Desbois, a Catholic priest is leading a team of researchers who are locating forgotten victims and graves of Holocaust victims whose bodies lie in unmarked mass graves in the former USSR. He begins his work by carefully searching Russian documents, then traveling to towns, villages and through rural Russia. He interviews elderly people who may have been children when the massacres took place. Many are telling their stories for the first time in their lives to Father Desbois. Reported for CBS News by reporter Lara Logan. The team of researchers is finding that the massacres and the number of graves were far greater than had previously been known. Interviews are providing insight to why people remained silent when the massacres were taking place. HITLER'S ANTI-SEMITISM AND 'THE FINAL SOLUTION"
In studying the rise of Nazism, one question stands above the others - Why was Hitler so determined to eliminate so many people, but Jews in particular, to the extent that German war resources were diverted from supporting troops and success in the in the War to support his "Final Solution" - the name given to the systematic extermination of all Jewish people as well as Poles (people from Poland), Roma, homosexuals and Soviet soldiers (people from Russia) who were being held as prisoners of war? Read some opinions found on the blogsite, Quora. Click here to access PINTEREST pages that contains hundreds resources about the Holocaust and oppression at various times. This page includes depictions of events that occurred during the Vietnam era, The Civil War, etc. These images and stories are excellent resources for teaching literature, using images for writing prompts, making comparisons and distinctions, etc. Facing History and Ourselves: Holocaust and Human Behavior - this resource is free but an account must be created. It is an excellent resource that includes thought provoking information useful with upper level students. It also includes comparisons to modern day civil and human rights and discusses oppression in various times throughout history. Lesson plans are included.